1. Does the Blackadda safety ladder leveller fit all ladder types? Yes! The Blackadda safety extension system fits all aluminium and fiberglass ladders. 2. What are the Blackadda safety ladder leveller’s specifications? The Blackadda safety extension complies with safety regulations. It is durable, lightweight and rustproof. 3. 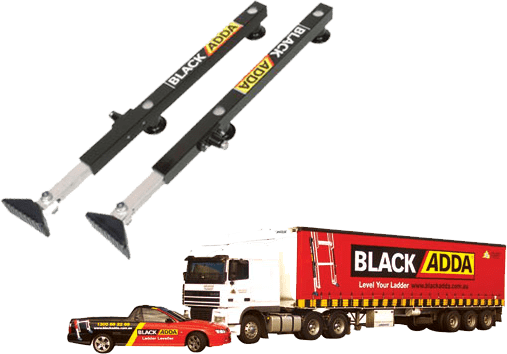 Is the Blackadda safety ladder leveller an Australian product? Yes! Blackadda is 100% Australian designed and owned. 4. Can I download the Blackadda safety ladder leveller installation instructions? 5. Does the Blackadda safety ladder leveller come with a warranty? Yes! Each Blackadda safety extension ladder comes with a full 1 year warranty (Swivel Feet not covered in warranty). 6. Does the Blackadda safety ladder leveller comply with Australian Standards? 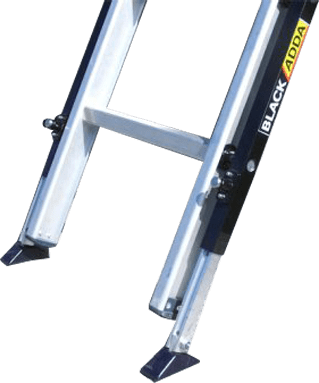 The Blackadda safety extension ladder has been tested and approved to withstand 7 times more weight than Australian Standards. Click here to view test results. To view current Australian Standards from Standards Australia International regarding ladder accessories click here. 7. As an employer, what are the penalties for failing to meet duty of care obligations? 8. Is the Blackadda safety ladder leveller tax deductible? The Blackadda safety extension ladder is 100% tax deductible for tradespeople and those who hold an ABN. 9. Can I get spare parts for the Blackadda safety ladder leveller? Yes! Spare parts are available in the “Buy Now” section of this website.